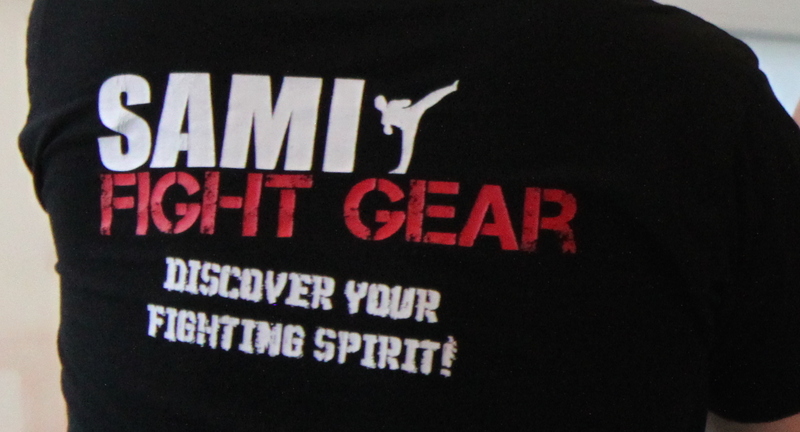 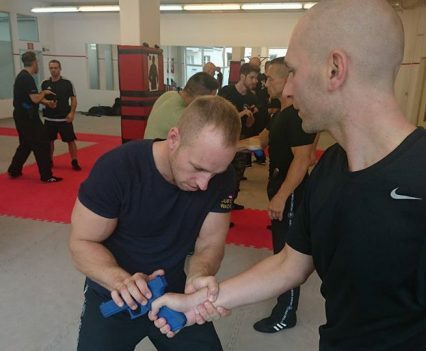 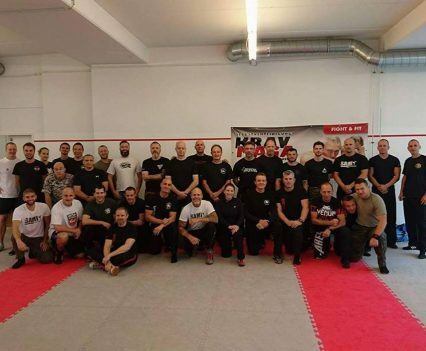 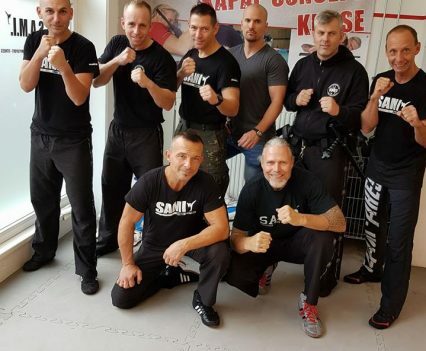 Judiciary officers as well as martial art instructors from different disciplines joined the 4 Day Kapap Concept seminar held at the SAMI Headquarters in Vienna. 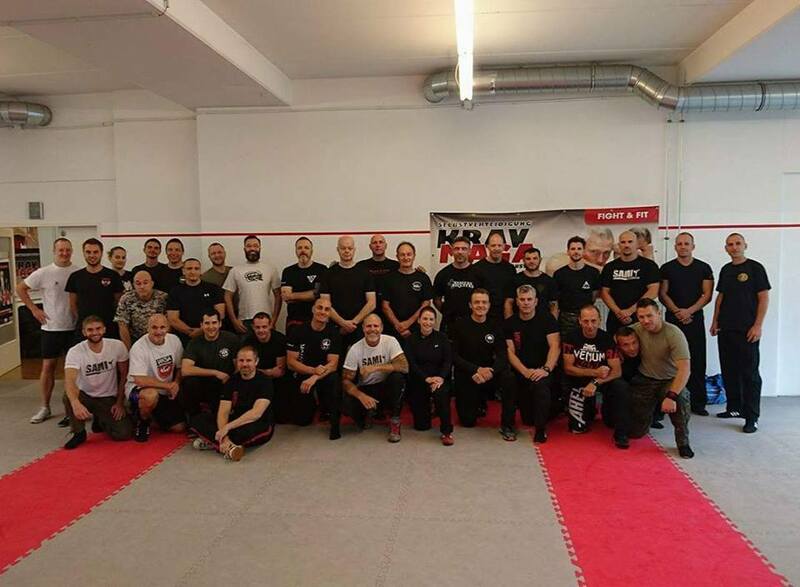 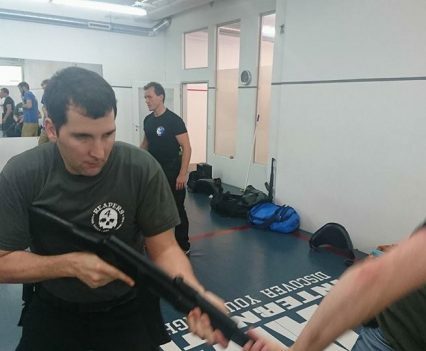 Students from Kuwait, Germany, Switzerland and Austria attended to train with firearms, long- and short distance weapons and expandable batons under the professional supervision of Peter Weckauf and his team. 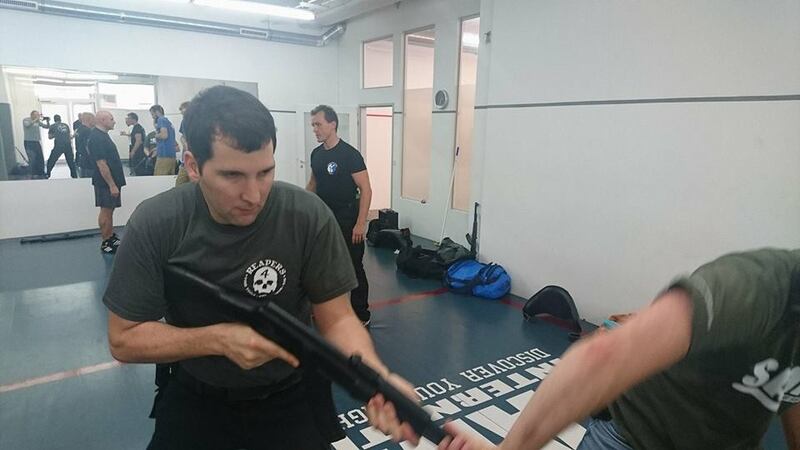 They covered scenario training as well, in which the attacker uses firearms or knives and the defendant uses fixation or control techniques. 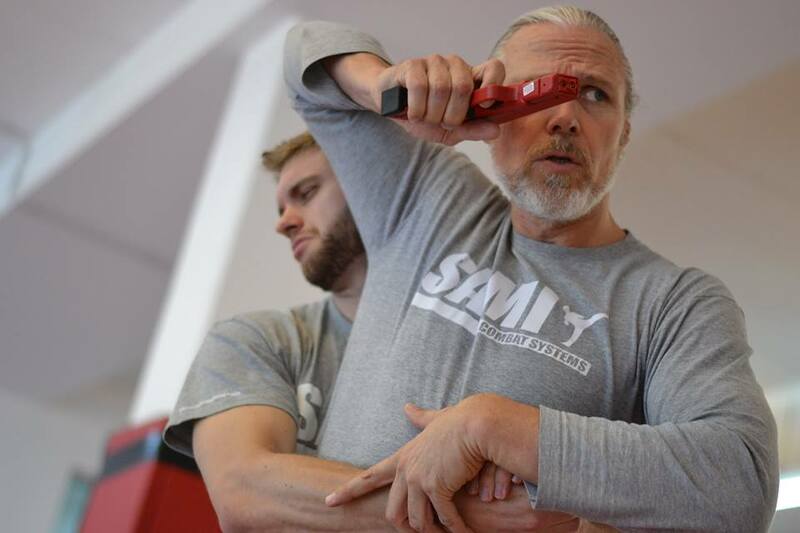 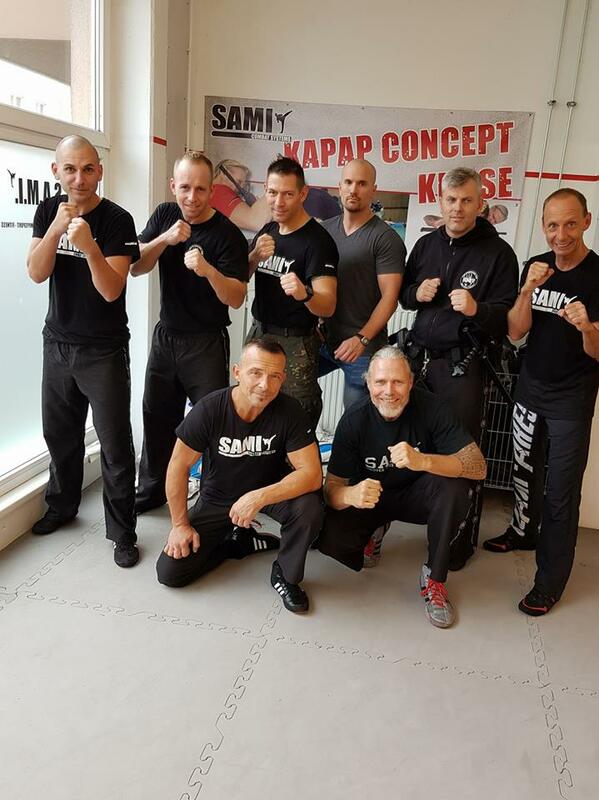 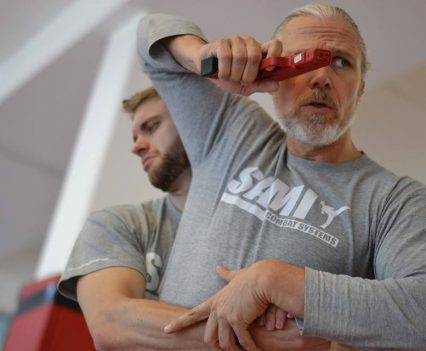 At the end of the seminar the participants were able to take their exams and we are proud to welcome our first Advanced Instructors for SAMICS Kapap Concept to the SAMI community. 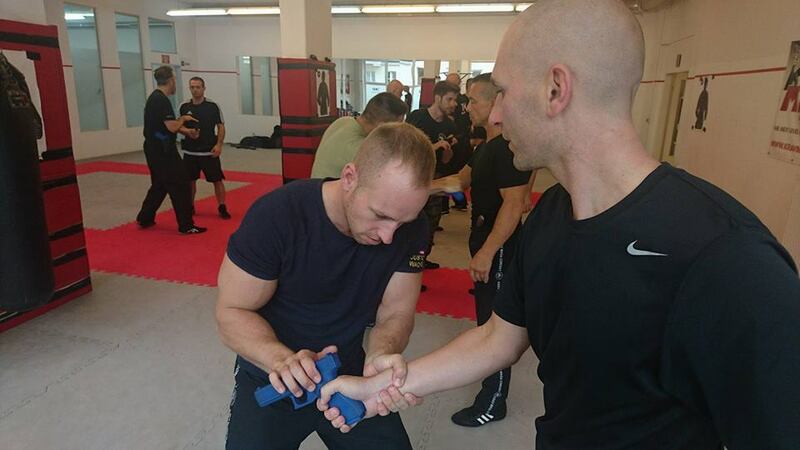 Furthermore content of Kapap Concept is now used in all judicial institutions in Austria.